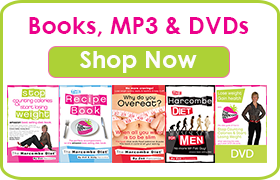 The Harcombe Diet® by Zoe Harcombe | Which foods are carbs? Q) I want to try a no-carb or low-carb diet, But what foods are considered carbs? I know bread and noodles? So can anyone tell me what I can and can not have? A) Hi there – all food is carb, fat or protein or a mixture of all 3. Forget protein, as it is in everything from lettuce to steak. The 2 really important things are carbs and fats, therefore. Everything has carbs in it other than pure fats. 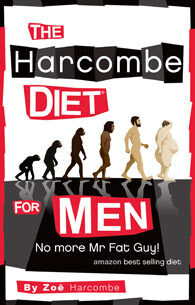 The way to work out what is a fat is a fat is anything that comes from something with a face. So beef, steak, milk, butter, cheese are all fats – as they come from a cow (with a face). Bacon and pork etc come from a pig (with a face). Eggs come from chickens or ducks (with faces). Hopefully you’ve got the easy way to remember most fats by now! The only exception to this is all the oils (olive oil, sunflower oil, coconut oil etc) which are also pure fats (no carbs) but they don’t come from faces. Hopefully they are so obviously fats that this is still easy to remember. So, anything that doesn’t come from the face and oil group is a carb. This means all fruits, all salads and vegetables, all grains – rice, wheat, corn, rye, flour, bread, pasta, noodles etc are all carbs. If you’re going on a low carb diet you are still fine with any basic salads (lettuce, cucumber, spring onions, celery, peppers etc) and green vegetables (courgettes, cabbage, broccoli, spinach, green beans etc). Once you get into more coloured vegetables (carrots, squashes, swede etc) you are getting into higher carb foods. Fruit is quite high in carbs (c 20 g of carbs for an apple), which is why Atkins doesn’t allow fruit. I see that in your book you say that only baked potatoes are ok – why only baked? Would boiled potatoes be ok if the skins were left on?